This brush is NOT wide enough for one stroke split cakes. 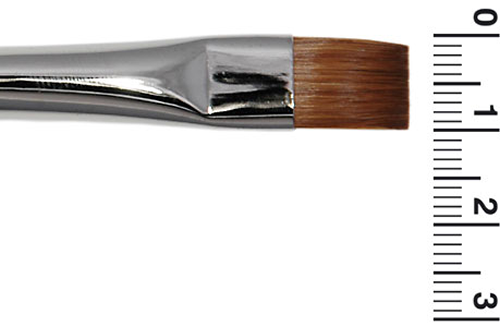 Grimas Red Sable-hair Brushes are suitable for applying all types of make-up and powders. The resilient sable hair retains its flexibility and has a high quality. 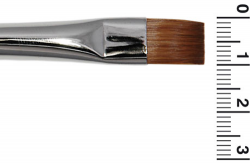 Red Sable-hair Brushes are available in various shapes: round (MR), flat (M), sloping (MS) and filbert (L). The brushes have a black stem and the number indicates the width in mm. The flat brushes can be used to apply all sorts of make-up.